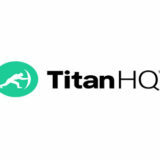 TitanHQ is a leading provider of email and web security solutions – supplying more than 5,000 organizations in 129 countries with advanced internet security products in order to block online threats and to prevent infections such as adware, malware and ransomware from breaching IT defenses. 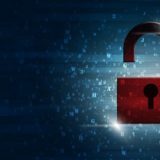 Within each product range, there are multiple options for organizations trying to protect their confidential data from unauthorized disclosure. 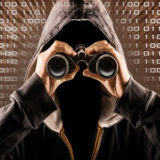 These options protect against direct attacks, drive-by attacks that detect vulnerabilities in an organization´s defenses, and attacks launched against mobile devices that can subsequently infect a network when they are connected. Many cybercriminals target healthcare organizations due to the thriving market for stolen Protected Health Information (PHI). 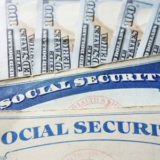 Patients´ names, addresses and Social Security numbers can be sold for far more than credit card details on the darknet as they can be used to commit identity fraud, obtain free healthcare, and defraud insurance companies out of millions of dollars. Most healthcare organizations have implemented strong security defenses against cybercriminals, yet a weak link still exists – employees. 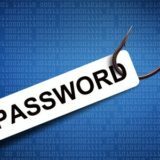 Employees that can be fooled into disclosing login credentials via phishing campaigns and social engineering present the biggest risk to IT security. Acknowledging this, TitanHQ´s solutions for healthcare providers have been designed to mitigate this risk. SpamTitan is an advanced email filter that catches over 99.9% of unsolicited emails, phishing attempts, and spoof communications. The anti-spam solution for healthcare providers runs a multilayered analysis on incoming emails to block security threats and viruses. Using dual spam filtering engines, SpamTitan is continuously evolving as new threats are detected in order to improve the level of protection provided to healthcare organizations. In addition to adding an extra layer of security, SpamTitan also helps enhance productivity. According to research published in the Journal of Information System Security, 49% of Americans spend more than 40 minutes per week deleting spam emails, while the top 14% of respondents spend as much as 3½ hours per week – or 7½ days per annum – deleting unwanted emails. However, those statistics alone do not tell the whole story. Research conducted by Microsoft in 2007 found that “recovering” from an interruption such as a spam email could take up to fifteen minutes, depending on the importance of the primary task and the individual´s loss of context associated with the switch of task. Although in a healthcare environment the loss of context is likely to be minimal, the accumulated loss of productivity is more significant than previously thought and is a loss of productivity that can be avoided with SpamTitan. SpamTitan can be deployed as a cloud-based solution or within a healthcare organization´s IT infrastructure. It can be managed at administrator or user level, with multi-level administration if required to prevent spam at user or domain level. 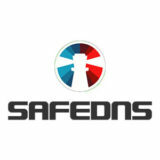 The advanced email filter allows for an unlimited number of users and supports multiple domains, and includes advanced features for outbound mail scanning and routing, and IP protection. In April 2017, Buffalo’s Erie County Medical Center discovered a computer virus had been installed that forced the shutdown of its computer system – Read more here. Also in April 2017, Tampa, Florida-based practice management software and EHR vendor, Greenway Health announced ransomware had been downloaded that prevented 400 healthcare providers from accessing their EHRs – Read more here. In February 2017, Cardiology Center of Acadianaexperienced a ransomware attack that resulted in the encryption of 9,681 patients’ ePHI – Read more here. 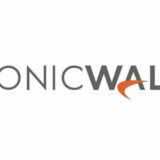 Also in February 2017, WellCare Health Plans alerted 24,809 members to a potential ePHI compromise after one of its vendors experienced a ransomware attack –Read more here. In January 2017, Bradywine paediatrics notified 27,000 patients that their ePHI had potentially been compromised after ransomware was downloaded – Read more here. 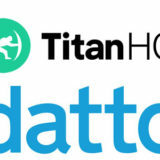 The prevention of unauthorized data exposure is vital for HIPAA compliance, and WebTitan´s web filtering solution can help prevent the kinds of attacks illustrated above. Using highly granular controls that can easily be adjusted to suit individual requirements, WebTitan provides maximum protection for fixed and Wi-Fi networks within a healthcare organization. 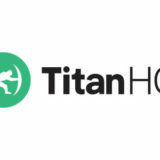 As with our anti-spam solution, WebTitan can be deployed via the Cloud or On Premises as a software or virtual appliance. Read more about Web content filtering here. Although the HIPAA regulations do not specifically require email archiving for healthcare providers, archiving is seen as one of the most suitable ways in which to comply with the Security Rule requirements for access controls, audit controls and for maintaining the integrity of PHI – especially the six-year retention rule. Storing six years of encrypted emails on an internal server can cause significant headaches for IT professionals. Securely archiving emails containing PHI can help to prevent data theft by dishonest or disgruntled employees. In 2012, a South Carolina state employee was prosecuted for sending emails to his personal email account containing the medical information of more than 228,000 Medicaid recipients – a scenario that could not have occurred with encrypted email archiving for healthcare providers. Our ArcTitan email archiving solution not only represents a secure method of ensuring HIPAA compliance with regard to the unauthorized modification or disposal of PHI, but can also can also be used to restore “mislaid” emails or to show proof of email delivery. These are particularly useful features to have if ever a healthcare organization is involved in litigation, as properly stored and indexed emails containing PHI can be searched and accessed quickly to assist litigation-based research. ArcTitan archives all a healthcare provider´s emails securely in the cloud in an encrypted format. Emails can be searched and retrieved by individual user, by department or by organization, using a simple and intuitive interface that can create searches inside all common attachment types. Additional features and functionality are available that allow authorized users to automate searches, export searches and bulk print the results of searches.